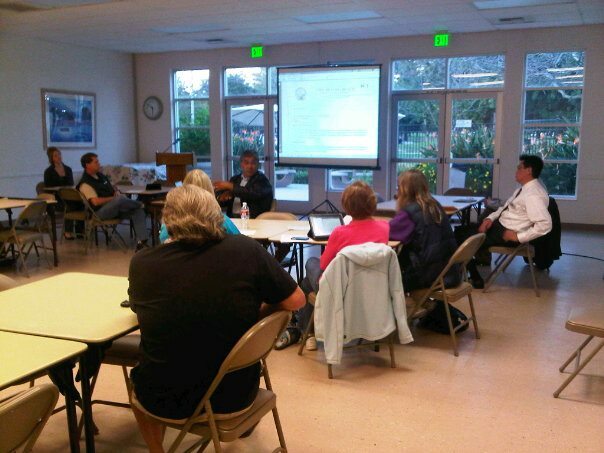 City Clerk Larry Herrera was kind enough to come out tonight and talk with participants of Open Up Long Beach. He was joined by two members of our Tech Services Department who discussed Go Long Beach and the features of the city's website. The Legistar system is provided by Granicus which has developed a number of applications to increase and encourage citizen participation and effective government. Tech Services showed the features of the City's newest application that allows residents to phone or send via Smart phone or internet, requests for services -- complete with a feature that pinpoints where the service is needed and allows the uploading of a photograph. Residents can click on Go Long Beach here. This application was developed by Government Outreach and is successfully improving response time to complaints and requests for services.